So having bored those foolish enough to read to tears with my valedictory 2013 in review blog, I thought I’d go all in and try and crank up the boredom to 11 with my what is effectively a “New Year’s Resolutions 2014” post (NYR posts are the new holiday slides surely?). And sorry if the title has misled. I’m planning my actual 2014 assassination targets post later in the month. I figure I might as well put this one in right at the top for the amusement of those of my friends, family and readers who have a slight bent toward an occasional bout of pedantry. I have no doubt that despite this plan for 2014, even at this early stage, I will let slip an enormous number of typos, spelling mistakes and heinous grammar crimes. But, what with events in the latter part of 2013, I came to remember how much I enjoy writing. Now I’m not going to do anything so foolish as to pledge to write to any sort of a specific schedule or anything. Blogging becoming a chore was what kind of put me off for a bit in the first place. Having said that, I am planning on writing more frequently, insofar as I retain my current levels of enjoyment whilst doing it. I am though a terrible, TERRIBLE, proof reader. Particularly when it comes to my own work (true to a certain extent of all of us I suspect). And as someone who is a massively hypocritical pedant myself (do as I say, not as I do) I really ought to do a bit more work on this area. Also I realise that spending a bit of time editing and re-editing your stuff immeasurably improves your writing. I reckon I have at least a wee smidgeon of skill in the area, but, I know I could get a lot better if I spent a bit more time subbing my stuff before hitting the “send into the Interwebz wild” button. So I’m going to try to say that 2014 will be a year in which I prioritise quality polishing over swift publishing! Feel free to point out my “Deliberate Mistakes in the comments or better still publicly on Twitter! I guess I kinda need to cover this off. Even though I am getting a little bored of writing about it. I think the lesson for me from #GetRalphADate ought to be that however the actual Twitter campaign pans out (who knows maybe I have met Miss Right through it and I have just not discovered yet?) I ought to take something from all this. It has been a kick up the arse. I realise that I don’t want to be perpetually alone, and whilst I’m never going to be some silver tongued Lothario, confidently approaching girls left right and centre, I can probably take at least some rudimentary steps toward meeting people. At the same time I think I am going to have to make sure I don’t get too disheartened if things don’t work out straight away…. Schedule for the construction of Rome and all that! I need to be positive, keep an open mind, approach correspondence with a view to making friends and if something more develops then great. And if all else fails I can always try the normal stuff like dating websites huh? I think dolphins look a bit sinister. But discussion went off on a tangent and got me thinking about my nature as an inveterate hoarder. My last house move was traumatic in the extreme due to the volume of crap I had accumulated. I was astonished at how much stuff I had to throw away. On the other had I was also astonished at how cathartic it was to rid myself of so much useless stuff. So even though every instinct of mine is to keep that “Buckaroo box” with half the contents missing, I have in new gaffe periodically ruthlessly purged the stuff I don’t need. And with only minimal Gollum like gnashing of teeth! In truth sometimes this is actually good fun. Unlike my gradual move up the clothing sizes, my gradual movement down them has utterly delighted me! Replacing a wardrobe with smaller clothes, and getting rid of all my stuff in “Medium family tent” size required very little effort on my part to throw the old gear away; I was basically jumping for joy. But the Smaug in me remains, confined mostly to my cavernous “Big cupboard of crap”. Basically it has been a sink hole for stuff I didn’t want to chuck but wasn’t sure if I needed. My tools are in there and mostly unobtainable due to being under stuff. And all important documentation stored there in no particular order meaning it is impossible to find anything. So I reckon this year I must conquer the cupboard, sort it out, organise the paperwork. Be once again able to access my tools. And throw away the rubbish I don’t need. This one will be tricky, but I’m going to have to do it. Now I realise that this is one will rather contradict a resolution about sorting out a hoarding instinct, what is the fun in consistency eh? Earlier this year I finally got around to watching the wonderful “Miller’s Crossing” which I had inexplicably overlooked up to that point. As with any period piece I, as a massive hat lover, couldn’t help but admire the hats. And that a hat was an important plot device has been gnawing away at me. You see I find myself with not nearly enough hats. I think wearing varied and silly hats whilst having a drink with friends is one of the great pleasures in life. A wee snifter of fine vintage port will always be improved if wearing a Deerstalker. 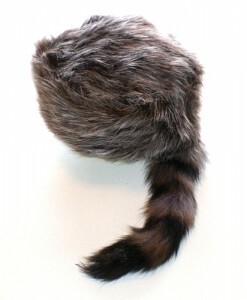 Rye whiskey should only ever be consumed whilst wearing a Coonskin cap and pretending you are at the Alamo…. All sorts of possibilities. I currently no longer have a single comedy drinking hat. And that is a situation I fully intend to rectify in 2014. And if you have not seen Miller’s Crossing then for pities sake watch it straight away. Unless you don’t like the Coen Brothers. If you don’t like the Coen Brothers then what the bleeding heck is wrong with you? I order you to watch The Big Lebowski on repeat drinking White Russians until you gain a proper appreciation. Now don’t get me wrong I am really proud of myself having done a Sprint Tri last year. Coming “off the couch” when unable to swim, to completing a Tri in a respectable, if not a good, time in only 4 months isn’t bad. But at the same time I don’t think I will really have scratched this itch until I do a Tri that contains some sort of an open water swim. I am realistic, whilst it is one thing swimming 400 meters in a 25m swimming pool, doing a full Olympic Triathlon right now is going to be beyond me. I just can’t see me swimming 1.5K, let alone doing that and climbing out of the water to carry on going for north of two hours. But I am sure I can do an open water Tri (750m) and then work toward doing a full one later in the year or early next season. I also didn’t try to raise any money for “charidee” as I was only doing a titchy training wheels Tri last year. And in all honesty I was terrified I wouldn’t finish and would let people and charity down if I’d have got sponsorship. I do really think I’d like to try and raise some money for a good cause if I was doing a more substantial Tri next year. With God’s help I’ll conquer this terrible affliction. Now I have never taken Crack, Heroin or Meth. But I can confidently state with all the power and force of a polemicist powered by anecdote that my crippling lifelong addiction “Champ” is worse than any of them. It is also worse than “Clarkey Cats” and “Cake”. For those of you not in the know “Champ” is the street name for a terrible addictive drug known to the authorities as “Football Manager”. Like most chaps of my vintage who combine an interest in both Football & video games I have devoted far more of my adult life than is healthy to, as my kid brother used to call it, “Playing spreadsheets”. I have actually been mostly clean for the last few years. Every now and again the addiction breaks through though. I recently went to see Stephen K Amos live whilst up in Bristol for a meeting and I was pleasantly surprised at how side splittingly hilarious he was (that sketch show he had on TV recently didn’t do him justice). As I almost invariably do after such things I wondered why I don’t watch live stuff more often? I always have a great time, I always think I should do it more often. And frankly unless there is a lot of travelling involved it isn’t really all that expensive to be honest. Given that I am, through work and play, a reasonably regular visitor to both London and Bristol I can’t even use the excuse that Plymouth doesn’t really have a great deal going on. So I’m going to try and pledge to myself that I am going to go to a music gig, or a comedy show or suchlike at least once every other month in 2014. I often have little fads, where I get terribly into something for a while. But my fad for Vietnamese food shows no sign of dimming after a couple of years. I just can’t get enough of it. When in London for work I always want to head out east to Nathan Barley land so I can get some nice Pho. And I will during the day go hours out of my way to get some Bahn Mi for lunch (my current favourite place is Bahn Mi Bay on Theobolds road). So I make a heartfelt plea to the people of Vietnam, the wider Vietnamese diaspora, and frankly anyone with a skill for professional catering who is good at coking Vietnamese food; Please, pretty please, open a Vietnamese food place in Plymouth. I beg you…. Now I can’t promise that Plymouth is the most happening place in the world (We don’t even have a Vietnamese restaurant 😉 !). And frankly thanks to the earnest efforts of the Luftwaffe the city is pretty plain. But we are near the sea, Dartmoor and most of Cornwall are beautiful and easy to reach, and we are home to the world’s greatest Football team. We even have a giant metal prawn. On top of that Plymouth has a huge student population who would no doubt welcome a Vietnamese place, and I for one pledge to spend a significant proportion of my income at any Vietnamese gaffe should they be able to sell me nice Bahn Mi for lunch, Pho for dinner and Vietnamese coffee whenever! So I’m thinking I need to get Donna to use her Social Media-Fu to launch #GetPlymouthAVietnameseRestaurant though I suspect the that ship might just have sailed….. Failing this happening, and I suspect I shouldn’t hold my breath, I guess I had better make a pledge for 2014 that I am finally going to crack cooking Vietnamese food. Been trying to get the hang of it for a while, and got a pretty boss book about it just before Christmas. So hoping to become a demon at cooking it over the course of the next year. So that is eight aims, with varying degrees of seriousness. At the very least should give me something to write about next year for my 2014 in review blog post! Looking at the word count perhaps “understand concept of brevity” ought to be something I am looking to do at some point!